It’s one of those slow freebie days, but I noticed this one’s still available. 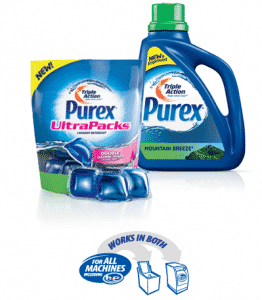 Click here to visit the Purex site and watch their quick video. Then under it, click “Sign Up.” Then fill out the form on the next page to request your free sample. Allow 6-12 weeks for delivery. I’ve heard purex is a good detergent i can’t wait to try it.